Back in June, I put a couple of cool Robby Suavé shirts up for sale on Amazon. Yes, that Amazon. Amazon.com. If you search for “robby suave shirt” or whatever, you’ll find those shirts. It’s awesome. They’re only $15, and you should buy them. How was I able to get shirts on Amazon, you ask? Oh, I’m so glad you asked. That’s what I’m going to tell you right here and now! New (and Old) Shirts Are Here! Awwww yeah. Here’s some cool news for you! For some reason, I got selected to be a part of this cool new Amazon Merch program. Right now it’s just for t-shirts, but hey, what perfect timing. It’s getting hotter than a mothereffer in here (and out there). It’s time. It’s time for another Robby Suavé shirt. Spoiler: I mostly put these out for sale just so I can buy myself one. Stranger Things is a 9 episode series on Netflix that you should watch if you like awesome things. And if you’ve watched even one epsiode, you certainly remember those opening credits. The logo presenting itself, along with the accompanying score, creates a special feeling when you watch it. It puts you in the mood to watch the episode. That’s how I feel about it anyway. 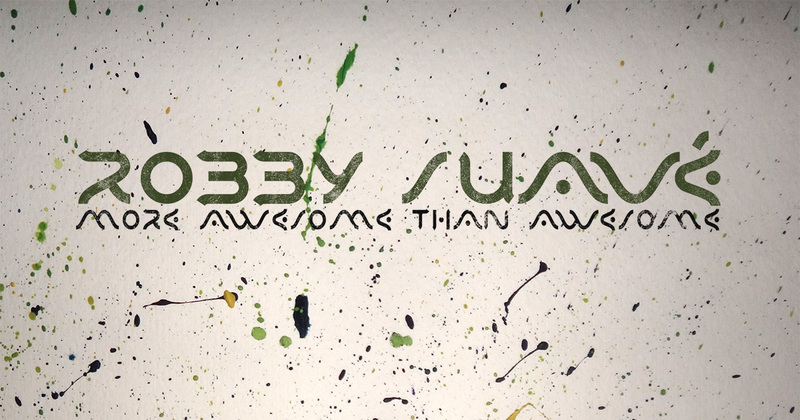 If you share my opinion, maybe you’d like to get a shirt with a shirt that says “Robby Suavé” in the style of the Stranger Things logo. I know I do! It’s only available until September 9th though, so hurry!